Jack Witherspoon beat cancer three times before he was 12. Now he’s invented a new kind of cookie aimed at helping kids like himself. Jack Witherspoon was 6 years old. He was leaving the Miller Children’s Hospital in Long Beach with his parents, John and Lisa Witherspoon. They’d just received horrific news. The leukemia Jack had beaten in a grueling a three-year fight starting when he was 2 was back. His parents were distraught. Jack wasn’t. And so they did, and with an almost storybook twist. In the long quarantines Jack had to endure at the hospital, he started watching the Food Network. When he got home, still unable to go to school, he started cooking with his mom. When he was allowed to go outside, they started going to nice restaurants for lunch. Chef Jack cooking at his first charity event, at HT Grill in Redondo Beach. He was 7 years old and still fighting leukemia at the time. Soon Jack was cooking by himself. At 5, he’d wanted to be an astronaut. Now, he really knew what he wanted to do. He wanted to be a chef. 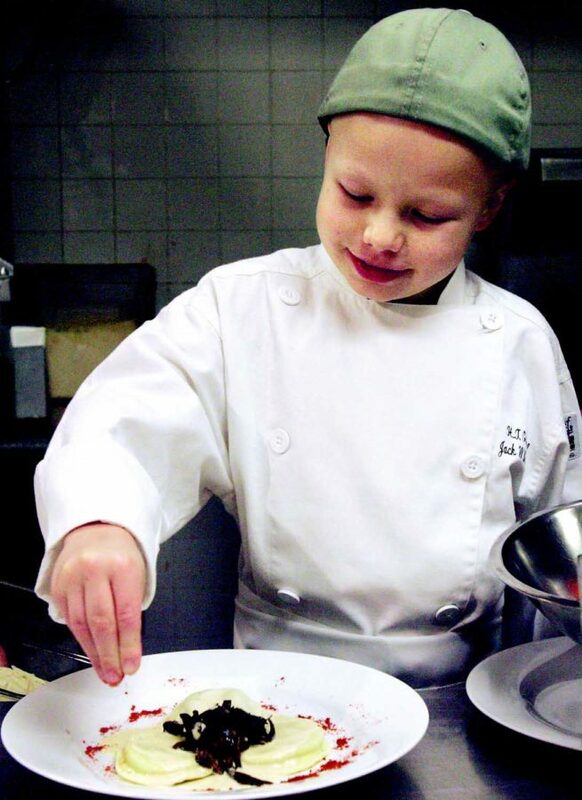 At 7, he was the executive chef for a leukemia fundraiser at H.T. Grill in his hometown, Redondo Beach. Not long thereafter, he captured the attention of Hollywood. He cooked on the Jay Leno show (and told the host to eat his peas) and made several appearances on the Food Network, meeting his heroes, Rachel Ray and Bobby Flay. His dream had come true more quickly than anybody could have imagined. He became known as Chef Jack. Most importantly, over the course of the next few years, he beat leukemia again. His long mop of blonde hair grew back, and with his white chef’s apron and hat, the legend of Chef Jack kept growing. Then came another rough day. He was 11 now, and once again standing outside the hospital, where he and his parents had just been informed the leukemia had returned. They were distraught. Jack was not. He informed them he’d beat it for good this time. “The third time is the charm,” Jack said. And beat it he did, this time writing and publishing a cookbook, “Twist It Up,” at the same time he fought back the leukemia. Then, finally, life normalized for Jack. He became a surfer, and went to Torrance’s South High School (his family had moved to Hollywood Riviera), and grew into a handsome young man who at the same time was very different than most teenagers. He always stayed even-keeled. He had over 10,000 fans on social media, and many of them were young kids who were fighting cancer. Jack was an inspiration for them, and he took the responsibility to heart. “They see his story, and they think, ‘If Jack can do it, so can I,’” said his mother, Lisa. One of those fans was a man from Austin, Texas, a successful real estate developer named Michael Mollison. He saw Jack on a Food Network show called “Rachel vs. Guy: Kids Cook-Off” and was deeply struck by the little kid with the blonde hair. Jack was 13 at the time but small for his age due to his years of cancer treatments. Jack’s story also resonated deeply with Mollison, who’d lost his wife to cancer. Long after he’d seen the television show, Mollison kept thinking about Jack. Finally, two years ago, he reached out. He’d spent his life investing in buildings. Now he wanted to invest in a person, and he chose Jack. Jack was 16 when he took the call. Mollison heard everything he wanted to hear. 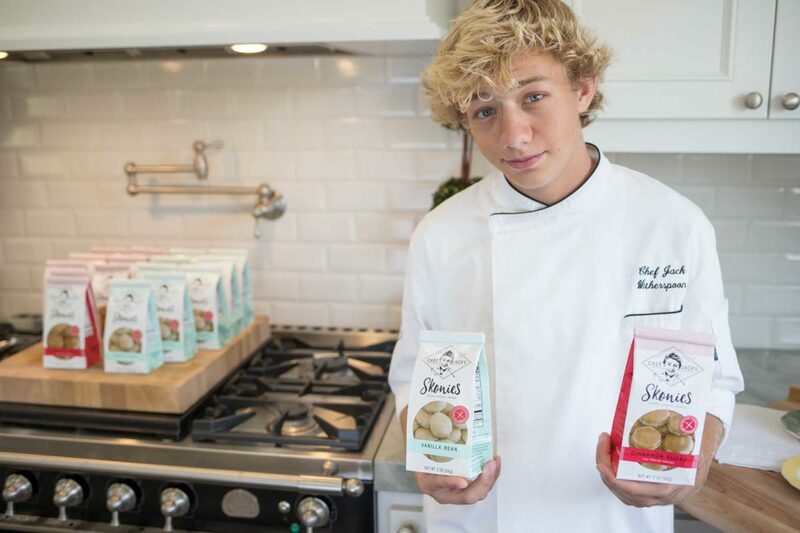 Jack’s idea was to start his own company and develop food products. So now another one of Jack’s dreams is coming true. 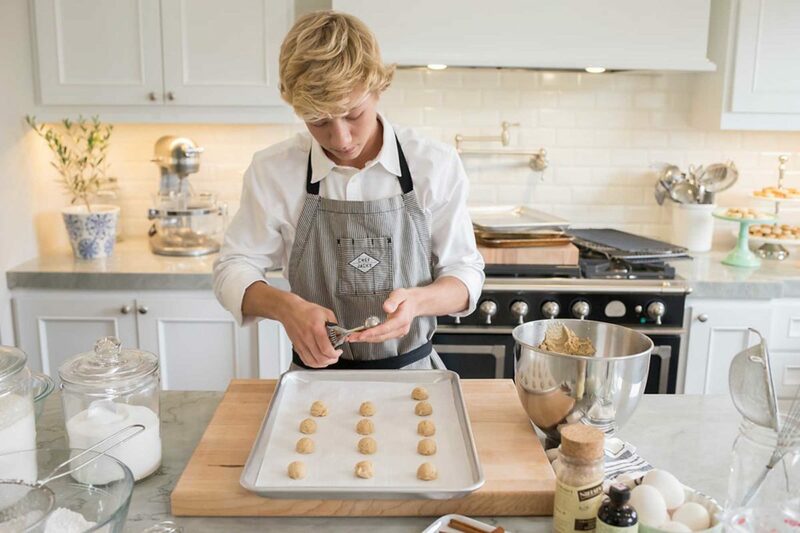 His company is called Chef Jack’s and his first product is a cookie he has invented — a cross between a sugar cookie and a scone that are called “Skonies.” Jack is launching his cookies this Wednesday at the Rockefeller gastropub in Redondo Beach. He’ll be giving out Skonie samples (and free Chef Jack’s stickers) from 4 to 8 p.m. as well as selling cookies, which will be available online and likely very soon in major brick and mortar grocery stores. Part of the proceeds from the whole endeavor will go to his endowment for pediatric leukemia research. Chef Jack making his Skonies. There’ll be more products in the future, but right now Chef Jack is all about Skonies. He spent the last two years in full product development mode, which in this case meant baking and eating a whole lot of cookies. His friends were also a very willing test market. And so Jack’s adventures continue, and his dreams keep coming true. Last June, a somewhat more simple dream also came to fruition. He graduated from high school. During the many tough days he endured, this wasn’t always a certain outcome. His classmates at South Torrance High selected him to give his class baccalaureate speech. Jack had been in plenty of stressful situations before, obviously, including by now dozens of television appearances and talks at cancer fundraisers. But he’d never had an audience comprised of his buddies. “They give me a hard time,” he said. But of course, as he seems to do with everything, Jack nailed it. He closed his speech with the message that even his Skonies carry — not as fortune cookies, but as a cookie that has been earned, a reward for a keeping faith with life. The Skonies launch is from 4 to 8 p.m. Wednesday, Nov. 7 at Rockefeller, 1707 S. Catalina Ave., Redondo Beach. For more information, see ChefJacksKitchen.com or look up Chef Jack on Facebook.